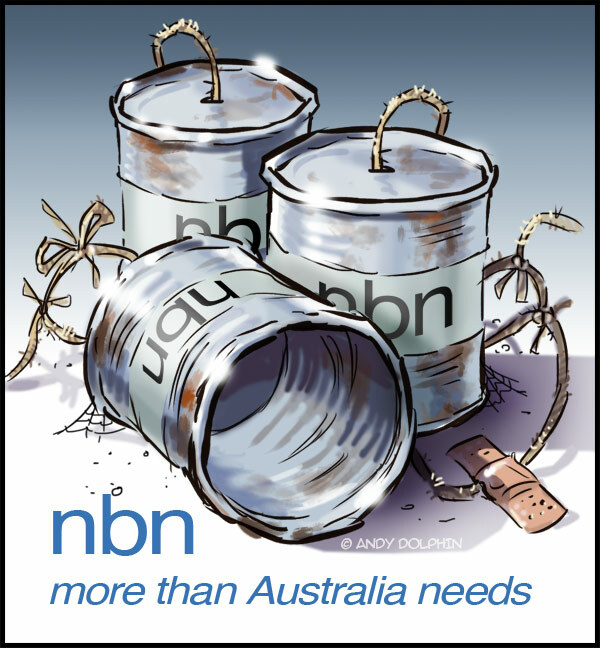 My Week in Art: #nbnFail - fast internet even slower? #nbnFail - fast internet even slower? My apologies for all the political cartoons lately. If you're not into politics, then please bear with me while I get this out of my system. It has been announced this week that our already-slow NBN is to be scaled back even further. This is apparently because, at a time when the rest of the world - even New Zealand!!! - is moving toward download speeds of 100Mbps (megabits per second) and higher, Australia, we are told, doesn't even need 25Mbps. For people who require the internet to do business, this might prove a little bit frustrating. For people who thought this was going to be the "Innovation Nation", I can only assume this must be a little bit confusing.